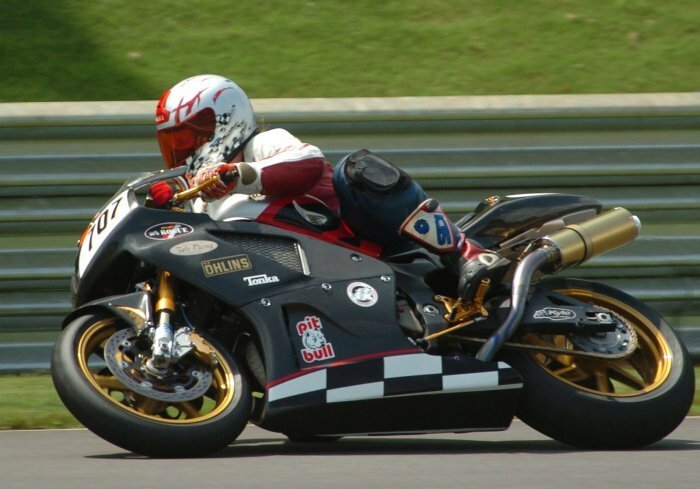 Extremely sturdy & well built (you could hang your RC51 upside down from these things! Instructions are kinda vague and are without the aid of pictures or graphics. 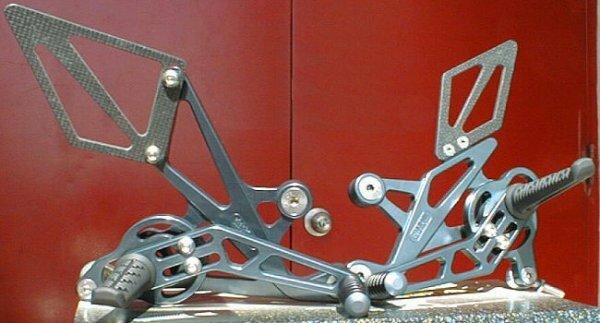 Comments: These rearsets will be the last set I test & review as I have no intention of removing them from my bike. They are exactly they way I think a rearset should be; Sturdy, adjustable, very good looking & above everything else 100% functional. The bearings offer a super smooth shift action & will no doubt last longer than the bike will... Oh & spare parts are just a phone call away incase you have an agricultural experience! 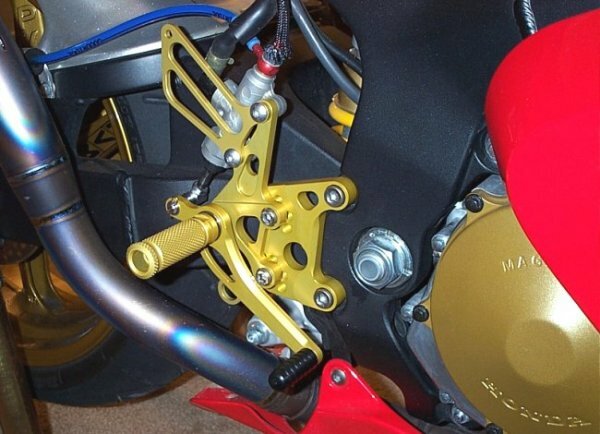 Comments: These rearsets are not as high quality as I thought they should be considering Arrows past track record. 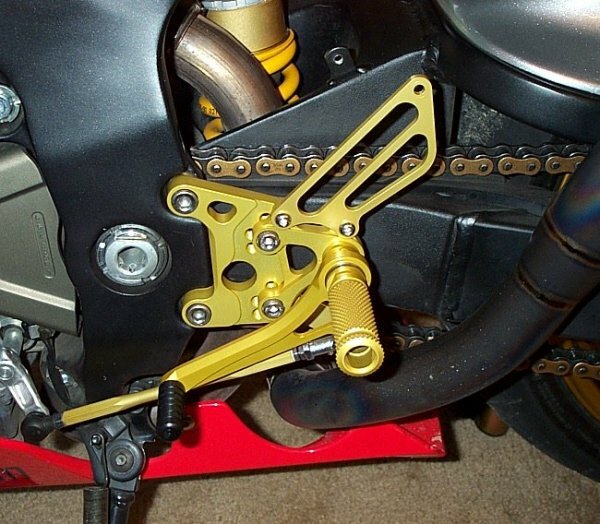 They flex so badly that the eyelet bolt on the master cylinder is actually ground into my swingarm as the swingarm traveled up & down leaving a nasty looking bright silver scar on my black swingarm & even after Arrow was informed of the problem they did absolutely nothing to rectify the situation. pin into the swingarm as the swingarm travels up & down leaving a nasty scar. Comments: Even though these do have some flex & could cause some unsightly blemishes on the swingarm they are still much better than the Arrows I had previously tested. 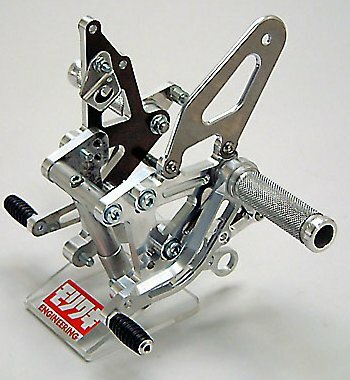 Overall I find them to be a very good set of rearsets especially for the price & if you are looking to be unique they will definitely be worth looking into, however I would not recommend them if you intend on moving the rearsets to the far back positions. 2nd write up: The Importer I bought them from (StreetNTrack) was very concerned with my satisfaction & even without direct contact from me, took my review straight to the manufacturer (ya gotta respect that kind of service). 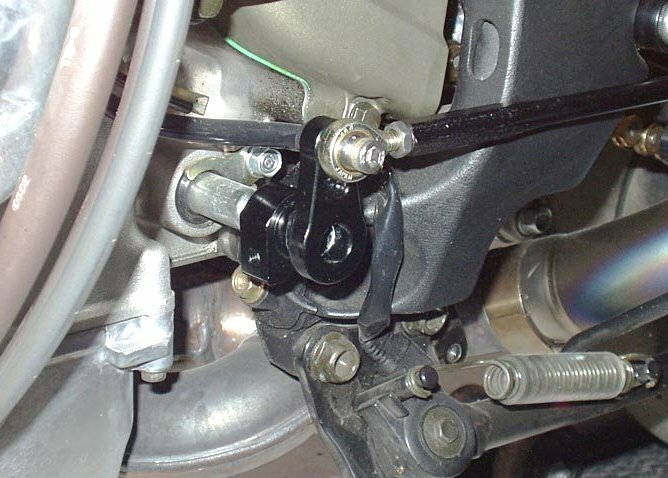 They responded that if I were to rotate the retainer pin 180 degrees (an engineer I am not LOL) that it would increase the distance between the pin & the swingarm & it does, which helps alleviate the rubbing condition that can occur when the right side rearset flexes under load, however when the rearsets are placed in the most rearward position the clearance is still to slim to keep the retainer pin from hitting the swingarm when weighted with your foot. Other options are being reviewed by the manufacturer & I'll report back what I learn. 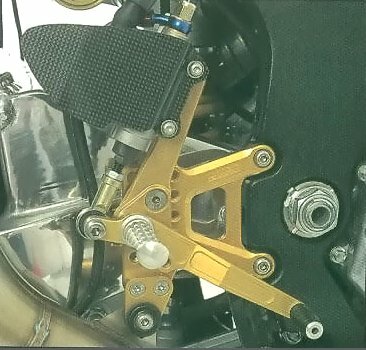 I want to stress that although this is an issue these are still some very fine rearsets as well as a new product & the diligence of both the retailer & the manufacturer is worthy of noting. 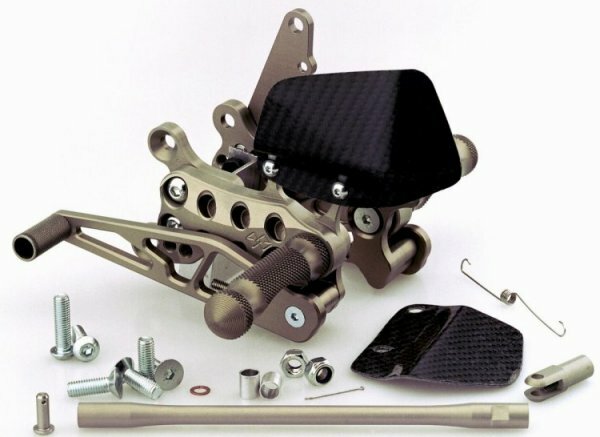 Premium rearsets from a company well known for their products. 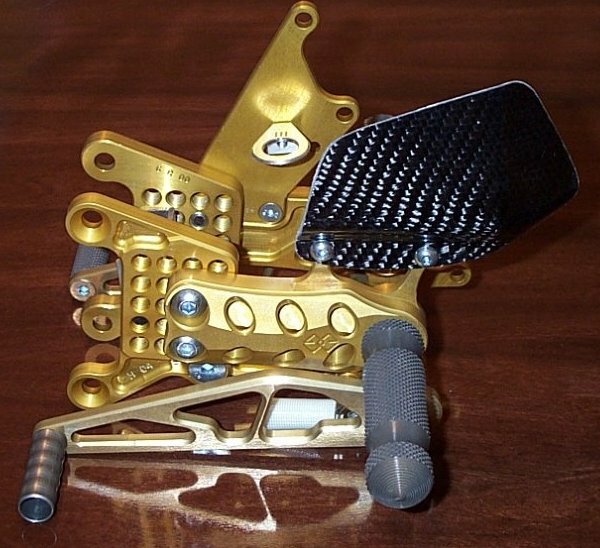 Precision machined & very sturdy. An excellent product, but getting replacement parts can be a hassle.